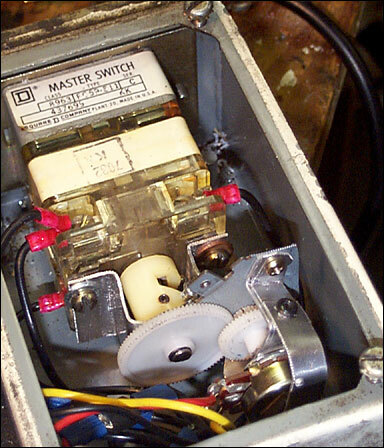 Above: the modified potbox showing the hunk of inkjet printer chassis holding the nylon gears between the actuator shaft and the $2 Radio Shack pot (plus some custom metal work for mounting everything ). Spooky how well it all fit together. No potboxes were harmed in the hacking of this mod. 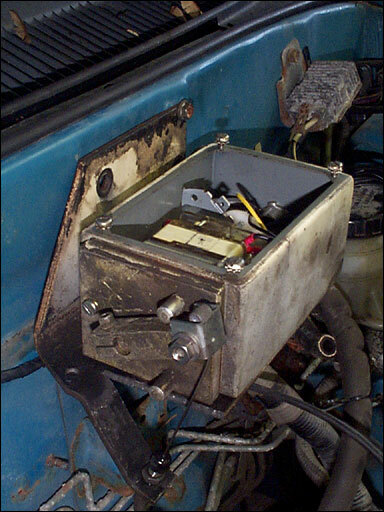 Its fully reversible should we want to reinstall the forklift pot again for use with the forklift's EV-1 controller. Installed in the car (well, "positioned" is more accurate. 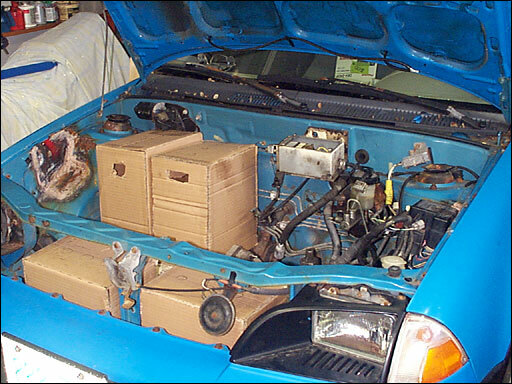 Needs a few more self-tapping bolts to call it "installed"). Throttle cable travel very closely matched the travel of the potbox actuator arm. Just needed to back off the throttle stop inside the car a little bit to give the cable the needed range. The actuator arm has physical stops at "off" and "full monty". There's also a second set of stops in the internal mechanism. The return spring is also internal - we'll probably add a second on on the actuator arm. Made cardboard mockups to play around with battery positioning (total box height = battery height including terminals). Hood reinstalled to test for clearance (about 1 1/2 inches). 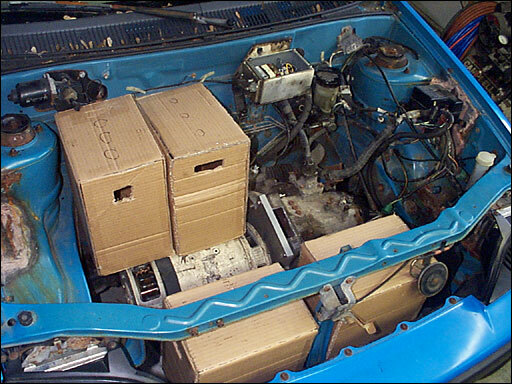 It's like the car was specifically built to accept 4 golf cart batteries with an inch or 2 of clearance all around. Nice. Next step is making battery trays/hold downs. This week my brother and I are going to look at welders.